When it comes to lumber recovery and comparing performance between individual sawmills, the most important factor is log size. 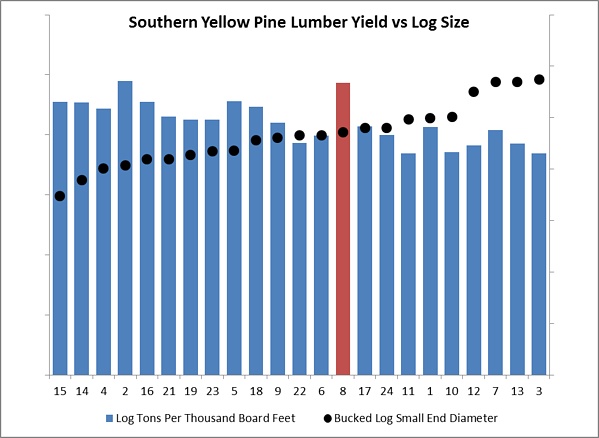 As the chart below illustrates, log size (average bucked log, small-end diameter) and lumber recovery (tons of logs used to produce a thousand board feet of lumber) are strongly correlated, with yield generally improving as log diameter increases. For mill #8 in the chart above, however, we can see that lumber yield is much higher (worse) than other mills using similar-sized log size. 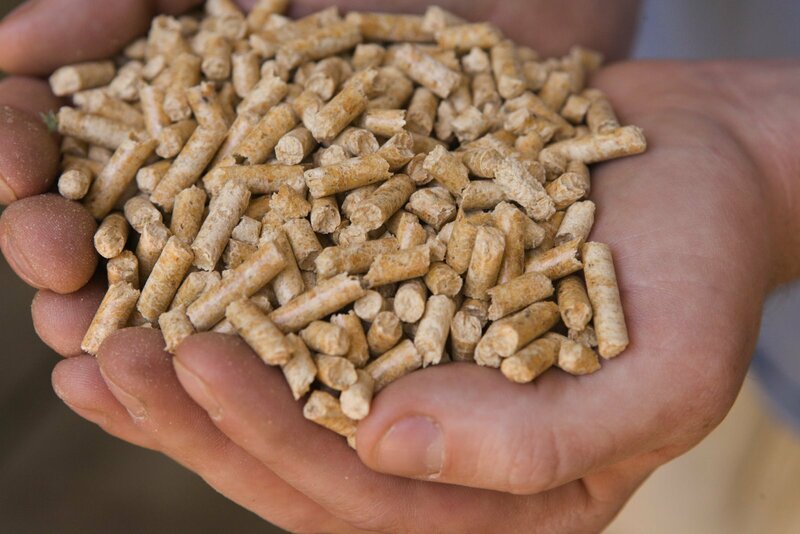 This data suggests that something other than log size is significantly impacting this mill’s performance. 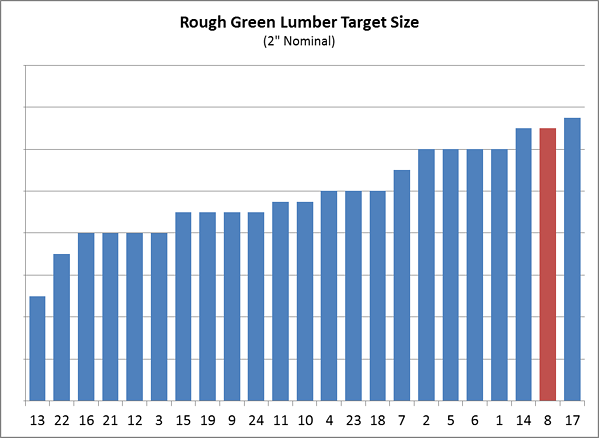 When focusing next on lumber target sizes, most southern yellow pine sawmills generate a product mix that is heavy to 2” thick (nominal) dimension lumber, so the rough green target thickness for 2” lumber is the most important factor to focus on. Reviewing the chart above, we can see that for mill #8, the 2” target size is well above average, meaning that this is likely a significant area of opportunity for improvement. In other words, we now know that other mills have been able to achieve much smaller target size while producing a comparable product. We can also use a similar process to investigate benchmarks for other target sizes (additional thicknesses and widths), for saw kerfs, etc. to see if additional opportunities are apparent. With this information in hand, mill management can focus on reducing target sizes by examining sawing variation, allowance for shrinkage while drying, and other factors in the sawmill, kilns and planer. With the appropriate level of detail in benchmarking data, a mill management team can move quickly from identifying a broad area of opportunity to a focused set of actions to drive improvements and increase profitability.